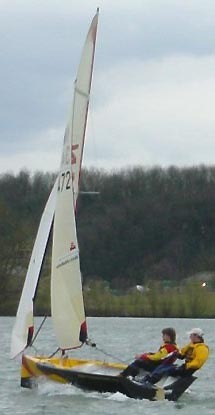 The National 12 class has always held a key role in the UK dinghy scene being the class where many famous designers and sailors have cut their teeth. Last year – 2006 – was the class’ 70th anniversary and the highlight of the year was the anniversary regatta held at Northampton Sailing club which saw over 80 boats compete. With such a fantastic history the National 12 has remained one of the most lively and beautiful boats in the market. The National Twelve Owners Association has now created an on-line database of all boats built, and is asking current and past owners of National 12s to visit the website at national12.org and contribute information. To help guide the class through another 70 years the Class Association is conducting a national census of National 12 sailors past, present and future. This survey has been open since December, and has now been extended until 11 March 11. It is the hope of the NTOA that this survey will be completed by as many people as possible, whether or not they have any current or historical link to the class. The survey will only demand a short amount of time to complete and one lucky winner will win a fantastic Gill Coast Sport Jacket worth £100; the winner will be drawn at random from the complete scripts. The survey can be completed on the National 12 website www.national12.org.